Updated information regarding your bank balance is one of the most important requirements of modern world. While planning for your future expenses or paying your monthly bills you must know the balance amount in your bank so that you can do it correctly. Knowing your bank balance was one of the tiring processes of banking as you had to visit your bank branch to know the account balance information. However, in this modern world with fast digitization of banking processes knowing your bank balance is now very easy. If you have a bank account with United Bank of India and want to check your account balance then this article is for you. Here we are going to discuss the different modern approaches by using which you can know the account balance instantly. You can always contact customer care for getting any information related to your account. Dial "1800-345-0345' from your mobile to talk to United Bank Of India customer care executive. The executive will help you know the current balance of your account. If you are using GSM network in your mobile device then you can avail this facility. You can dial *99*63# or *99# from your GSM mobile that is registered with the bank to perform Balance enquiry for your account. You will get available account balance as well as mini statement of your account instantly. Even you can transfer fund using this code. If you are an e-banking user of United Bank of India then you can opt for SMS banking service by placing online application through your e-banking account for it. If you already have SMS banking facility activated then send the text SMS in the format "ubal <13 digit Account number> <Password>" to 56161 to get the account balance information by SMS. Here the password is your SMS banking password that you have set using your e-banking account. After sending this text message to 56161 you will get SMS from bank with your latest account balance information. If you have registered for mobile banking service and have mPin then you can use this service. You have to send SMS from your registered mobile number to 9223173933 to get the latest account balance information. The SMS text format will be "BAL <MPIN>". You will get a reply SMS from bank that contains your latest account balance information. To get mini statement, type "MINI <MPIN>" and send it to 9223173933. Missed call banking is now very popular in India. The process is very simple and provides instant results. You need to call 09015431345 from your registered mobile number. After few rings the call automatically gets disconnected and you will get the account balance information in your mobile within minutes. You can avail this facility from anywhere in India. 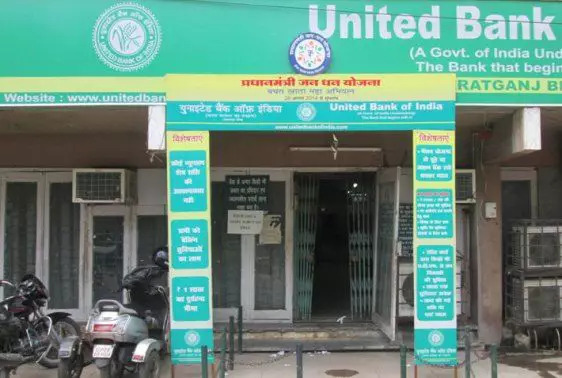 Apart from the above five methods you can always use your Internet banking service and mobile app service provided by United Bank Of India to know the current balance of your account anywhere anytime. We hope this article has helped you in checking United Bank of India balance. For other banks missed call balance enquiry numbers visit: https://www.bankindia.org/2015/04/missed-call-balance-enquiry-number-for-all-banks.html. True, I have been trying to miss call facility from 2 days, but it's not working. Plzz Provide new number. my ATM hasn't come through last 7 month please check that. For your kind information Number 09015431345 is no longer in use. My wife has a saving a/c in CR Park, it is not active. Bank send a letter in the postal address when we were out of the station. The postman has returned letter to the bank, but the bank refused the same. As a result, My wife (Sonali Ghosh) is not able to operate her account. She is not getting help from Bank Employees. Kindly help her. How to check united bank of India balance inquiry? just contact your bank, fill up a form, very simple. Pls as soon as possible. Dear Sir, You can give a missed call from your registered mobile number 09015431345 for balance enquiry and 08010968350 for mini statement. However, for your convenience, you can also check the same through e-banking or e passbook app. You can avail these services free of cost. united bank of India balance check toll free no is not working properly. please activate my mobile number to UBI account. How to check Assam Gramin Vikash Bank account by sms or missed call..
sir i want register my mobile no for balance inquiry, internet banking ,mobile banking and i talk with customer care ,but he has no solution to register by online. so kindly help me i am outside from our branch & will be their for next 3 month. union bank balance check on mobile. how to register mobile number in united bank of India. How to do united bank of India account balance enquiry by missed or sms. What is the PPK Number in SBI online Banking?